For kids today, the stigma that was once associated with braces is completely gone. If anything, we’ve found in our office it’s the opposite – kids now want braces. So many of their friends have braces, they often feel left out if they don’t have braces. When Is The Best Time For Kids To Get Braces? Although it’s recommended that children have their first orthodontic consultation by the age of 7 for early orthodontic treatment, braces (which are one element of orthodontics) are generally recommended once a child has all their permanent teeth. There are some circumstances where braces may be recommended before a child has all of their permanent teeth. As far as treatment, the types of braces that we offer at Forest Green Dental Care for children are traditional metal braces and clear ceramic braces. Metal braces are still the most common and popular option, in large part due to the fact that kids can choose the coloured elastic of their choice. If they want, kids have the ability to change their elastic colours during each regular visit at our office. How Long Will My Child Have Braces? Every child’s needs are different. The average time tends to be about 1 to 2 years. 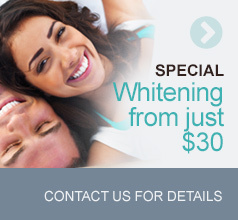 The cost of orthodontic treatment varies depending on the exact type and length of treatment. During your initial complimentary visit to Forest Green, Dr. Szmitko will discuss fees, how much your insurance covers, and payment plan options. Forest Green is proud to offer true interest-free payment plans with no administration fees. 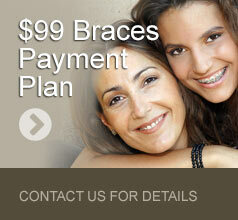 To find out more about braces for your child, complete the form to schedule a free, no-obligation initial consultation.